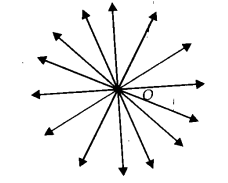 NCERT Solutions for Class 9 Maths Chapter 5 Introduction to Euclid Geometry Ex 5.1 are part of NCERT Solutions for Class 9 Maths. Here we have given NCERT Solutions for Class 9 Maths Chapter 5 Introduction to Euclid Geometry Ex 5.1. (v) In figure, if AB – PQ and PQ = XY, then AB = XY. Reason : In the following figure, there are many straight lines passing through P. There are many lines, passing through Q. But there is one and only one line which is passing through P as well as Q. Reason : Superimposing the region of one circle on the other, we find them coinciding. So, their centres and boundaries coincide. Thus, their radii will coincide or equal. Reason : According to Euclid’s axiom, things which are equal to the same thing are equal to one another. Give a definition for each of the following terms. Are there other terms that need to be defined first? What are they and how might you define them? Yes, we need to have an idea about the terms like point, line, ray, angle, plane, circle and quadrilateral, etc. before defining the required terms. Two lines l and m in a plane are said to be parallel, if they have no common point and we write them as l ॥ m.
Two lines p and q lying in the same plane are said to be perpendicular if they form a right angle and we write them as p ⊥ q. The distance from the centre to a point on the circle is called the radius of the circle. In the figure, P is centre and Q is a point on the circle, then PQ is the radius. A quadrilateral in which all the four angles are right angles and all the four sides are equal is called a square. Given figure, PQRS is a square. (ii) There exist atleast three points that are not on the same line. (ii) says that, given points A and B, you can take point C not lying on the line through A and B.
AB, explain by drawing the figure. In question 4, point C is called a mid-point of line segment AB. Prove that every line segment has one and only one mid-point. Let the given line AB is having two mid points ‘C’ and ‘D’. ∴ C and D coincide. Thus, every line segment has one and only one mid-point. In figure, if AC = BD, then prove that AB = CD. Does Euclid’s fifth postulate imply the existence of parallel lines ? Explain. Yes. If a straight line l falls on two lines m and n such that sum of the interior angles on one side of l is two right angles, then by Euclid’s fifth postulate, lines m and n will not meet on this side of l. Also, we know that the sum of the interior angles on the other side of the line l will be two right angles too. Thus, they will not meet on the other side also. ∴ The lines m and n never meet, i.e, They are parallel. 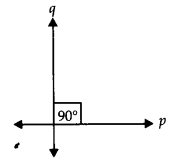 We hope the NCERT Solutions for Class 9 Maths Chapter 5 Introduction to Euclid Geometry Ex 5.1 help you. If you have any query regarding NCERT Solutions for Class 9 Maths Chapter 5 Introduction to Euclid Geometry Ex 5.1, drop a comment below and we will get back to you at the earliest.